Home sales continue to climb in San Antonio and are staying on track for another strong, record-breaking year even though there are fewer homes available on the market. In August, there were nearly 3,000 homes sold in San Antonio, for a 2.3% increase from 2016. The total number of homes sold for 2017 are 20,867, which is 4.3% above last year at this time. Experts believe that the market is going to break the previous record when almost 30,000 homes were sold in a year. The median home price in San Antonio is up 3.1% in August to $218,400. This is the fourth highest median price ever in the San Antonio market. Local home prices are shooting higher as there is a shortage of construction workers and more housing demand caused by the growing population in San Antonio. It is true that housing prices are going up in San Antonio. Still, I am finding plenty of under market value, San Antonio investment properties available for my portfolio. Blue collar workers flocking to San Antonio for jobs need houses to buy with owner financing or to rent, so my business is still doing well. San Antonio generally is still a good place to invest in under market value, high ROI investment properties, even if prices are higher than 2010. The strong, growing population and low unemployment rate indicate that this is a growing, robust economy with little signs of slowing down. I am seeing more accredited and non-accredited investors with solo 401ks and self directed IRAs buying investment properties in San Antonio for their portfolios. Below is a great under market value property that will see major appreciation in the next five years. Potential more than 40K in profit on this investment. 1614 Alametos, San Antonio, Texas 78201. Excellent location, just north of downtown with a short distance to the river walk and the new San Pedro creek river walk extension (multi-billion dollar inner city revitalization project). Properties in this location are expected to appreciate by more than 50% in value over the next two to three years. 1614 Alametos has a large back yard with shady trees. Currently the property is set-up as 2 bedrooms and 1 bathroom with a large patio in the back of the house. To get the maximum value out of this property and location, another bedroom and bathroom should be added. Estimated repairs: $65K with purchase price: $69K. Max After Repair Value: $199K. Note: 1622 Alametos just down the street was sold to an investor in 2015 for $65,000. 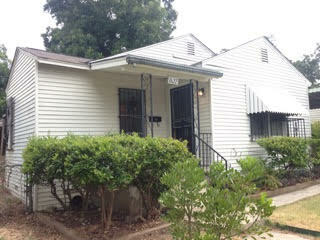 With $15,000 of rehab, the property was sold for $99,000 with owner financing for a 13% ROI. Home was sold within one week. 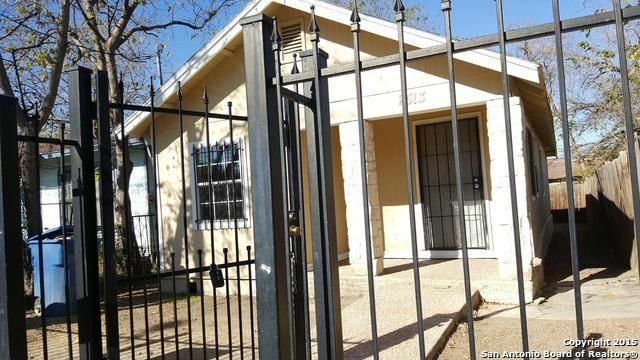 Exit Strategy: Buy, Rehab and Hold this San Antonio investment property. Many people today are worried about saving enough money for retirement. If you are going to rely on the stock market to ensure that you can live comfortably in 10, 20 or 30 years, I understand why you may be nervous. While the historical returns of the stock market may be in the 8% range, there is no doubt that some years, the return is much less. If you are planning to retire in a few years and the market dives, you may find yourself not retiring at all. I know someone who planned to retire in 2007 and live comfortably. After the market crashed, he had to go back to work for another five years. The good news is that you can make a reliable 10% or even 15% ROI per year if you purchase under market value real estate investments. I have made a fortune with San Antonio investment properties over the years. A popular way to make money for retirement today is to invest in under market value real estate in San Antonio in a solo 401k or self directed IRA. These funds can grow tax deferred over time, and you can often make an excellent rate of return. Even after you technically retire, you still can invest in under market value real estate and enjoy cash flow. It may not be tax deferred any more, but you can still enjoy positive cash flow. Meanwhile, your friends and relatives are living off their retirement savings accounts based upon the stock market, which frequently dwindle over time. Below is a great example of what you can do with an under market value investment property with a solo 401k or self directed IRA. 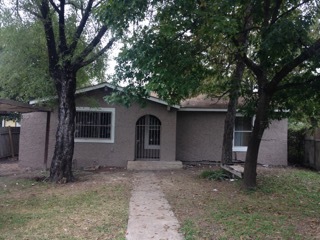 $65,000 cash price, $15,000 rehab, resold for $99,900 owner finance, $1041 per month, 7 DOM, 12.9% ROI. Still, we have CA investors coming into our fine city and buying property investment homes and making 12-13% ROI annually, with no property maintenance. 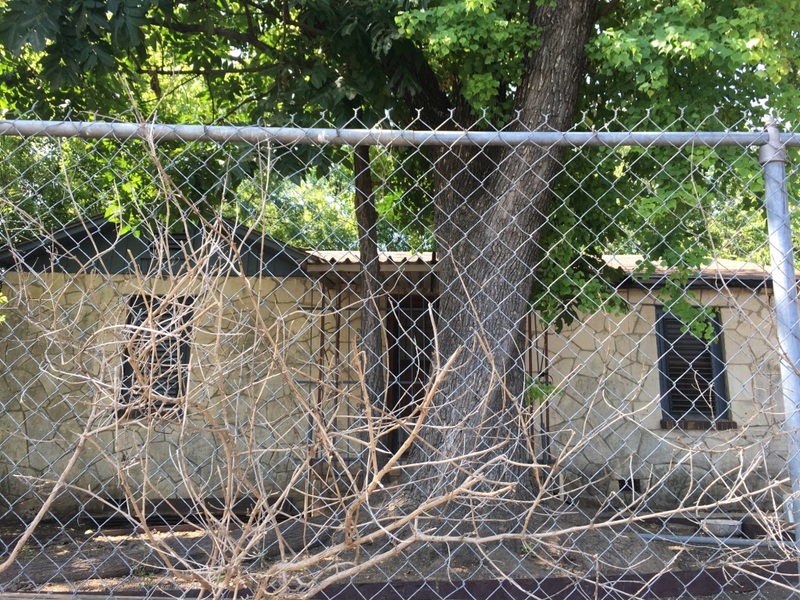 This San Antonio investment property was purchased by a CA cash buyer in July 2015 at 1622 Alametos St. This house is in 78201, and is north of downtown. This region is seeing rapid growth and appreciation. The total return on this San Antonio investment property was 13% per year. That money is being returned to the investor’s solo 401k account each month, and he will use that money to eventually invest in more San Antonio investment properties. This is what you can do with investing in real estate properties from within a solo 401k or self-directed IRA. Whether you are an accredited investor or a non accredited investor, this can be a great financial move. One of the major purposes of investing in real estate in San Antonio and other places is to build wealth slowly over time. One of the most important ways to do so is to invest in high ROI real estate investments that are protected from US taxes. Many real estate investors automatically decide to invest in real estate with a self directed IRA, which is a perfectly good way to invest. But there are other options that are worth considering; in fact, a solo 401k can often be superior to an IRA for investing in real estate. But most people are not aware that a solo 401k can be created by a private individual to invest in almost anything, including real estate. It is a one participant 401k plan, and is just like a traditional 401k plan but it just covers one ‘worker’ – you. A solo 401k plan has an employee and profit sharing option but a traditional IRA has a low annual contribution limit. For those over 50, you can make a maximum contribution of $24,000 in a 401k and that can be pre tax or after tax. A solo 401k may be contributed to in either Roth or pre tax format, but a self directed IRA may only be made in pre-tax. Tax free loans: A solo 401k allows you to borrow $50,000 or 50% of the account value. You can use the loan for whatever you want. A self directed IRA cannot be used to borrow funds without it being a prohibited transaction. You can open your 401k at many banks yourself. But with a self directed IRA, you have to use a custodian to hold the funds. You do not need to make an LLC with a 401k. The plan itself may invest in real estate investments without an LLC. A 401k plan by definition is a trust, and the trustee may take title to real estate property without an LLC being formed (another expense). Much better protection from creditors: A solo 401k is a fortress against lawsuits and creditors. It offers far better protections than an IRA. The 2005 Bankruptcy Act will normally protect all 401k assets in a bankruptyc. Most states also have more creditor protection in a solo 401k than a self directed IRA – outside of Chapter 7, 11, or 13 bankruptcy. Once you have established a solo 401k, you only need to decide which under market value real estate investments that you are going to invest in. Seize Control of Your Own Wealth Management Now! We’re living in a very exciting time and savvy investors are wasting no time in putting their retirement plans to work to capture juicy real estate investment returns. People everywhere realize that the real estate opportunities available right now will most likely never be repeated again during their lifetime. Is your retirement nest egg still sitting there at the mercy of the stock market? A market which can drop like a lead balloon at the mere mention of a negative rumor. Perhaps it is time to rethink your retirement plan investing options? Most people hold their retirement savings in traditional and widely-known vehicles such as; company-sponsored 401k plans, online IRA brokerage accounts and the like. But these are the same vehicles that have people up in arms due to the gut wrenching losses they have experienced. You see, most “traditional” retirement plans only offer limited selections that are based in the equities markets. Problem is, these investments are driven by and subject to whatever impacts Wall Street and lately that has been just about everything. Maybe you were among the millions of people who were pummeled in 2016 by two major corrections that resulted in $3 Trillion dollars evaporating overnight. How many people saw their retirement dreams go up in smoke in less than 24 hours? If you are sick and tired of the roller coaster ride on Wall Street then perhaps it’s time you explored so called, non-traditional investing. Wall Street lives by two iron clad rules. Get CONTROL of your money and keep CONTROL of your money – anything else is unacceptable to them. They have absolutely no interest in helping educate you that they are NOT the only game in town. A Self-Directed Retirement Plan = Freedom of Choice! Self-directed retirement plans can help you break free of the investment restrictions your current custodian places on you. By utilizing a self-directed plan, a whole world of alternative investments opens up. It’s not difficult to transfer your money over to a self-directed custodian. Your custodian of choice will walk you through the process of transferring assets into your self-directed plan and will also provide you with guidance on what you can and cannot invest in with your new retirement account. Just what types of real estate investments open up to you with a self-directed retirement plan? All of these investments and more are available when you have a self-directed retirement plan! Take control of your own wealth management! I have no doubt your curiosity has been piqued by this brief article – stay tuned as the next series of articles will pull back the curtains revealing even more about the secret that Wall Street hopes you’ll never discover. I have always invested in my San Antonio investment properties in cash, but more and more of my out of state investment property investors are buying my houses with their IRAs and 401ks. Investing in under market value properties can be an excellent way to invest with your IRA or 401k. If you are interested in investing in under market value properties for retirement, one of your options is a self-directed IRA. A self directed IRA allows you to make your own investment decisions and to invest in real estate, precious metals and almost anything, with some restrictions of course. With your self directed IRA, you need to have a qualified trustee or custodian managing it. Usually, the trustee will provide a variety of administrative functions, such as keeping records of contributions and investment purchases. Also, they will file IRS reports, issue statements to you and so on. Self-directed IRAs allow for a much higher diversification of assets than a traditional IRA or work based 401k. Note that not all IRA custodians will allow you to invest in real estate, so you need to make sure you open a self-directed IRA with the right company. Also, remember, your custodian will not vet whether or not your investment complies with regulatory requirements, so you need to do your homework on anything that you invest in, real estate or otherwise. Remember that you cannot engage in self-dealing. This is where you buy a property in your IRA where you will live or do business in. The self-directed IRA also cannot purchase property owned where you or some family members have a part of the ownership. A nice part of investing with a self-directed IRA is that you usually have checkbook control. This is where you can write checks on behalf of your IRA. These transactions occur through an LLC that the IRA owns. Setting up an LLC to do your investing with your self-directed IRA will give you more control over your assets and cut down on fees. In short, investing in under market value real estate with your self-directed IRA or 401k can make a lot of sense, if you are investing in real estate that produces excellent real estate cash flow and has low risk. Many of my investors used to buy California investment property and San Francisco investment property with their IRA or 401k, but this year, I have several new out of state investment property buyers who are using their retirement accounts to buy my properties. The way I work is very simple: I put a San Antonio investment property under market value under contract. I sell it to you the investor, and do about $10,000 in rehab. Then, I resell it for you with owner financing at 10% interest, 30 year note, and about $800 per month. Below is an excellent example of what I do. Max After Repair Value: $89,000. Notes: We recommend that you owner finance this out of state investment property because you will have no maintenance expenses. ROI will be ~13.7%. 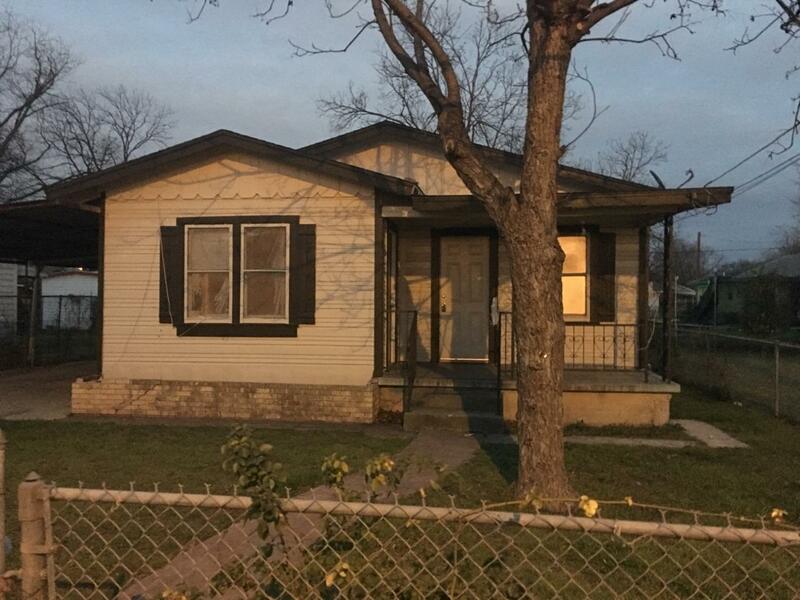 This San Antonio investment property is an excellent vehicle for real estate cash flow and investing with an IRA or 401k. Let me know if you have questions. I have long advocated investing in under market value properties in cash, rather than investing in the stock market. I once had nearly $100,000 invested in the stock market, and lost almost half of it during the crash after 9/11. As soon as that happened, I pulled my money out of the stock market, moved to Texas, and began to invest in San Antonio investment properties. Buy a house in cash for $25,000. Perform $25,000 or so in rehab. Resell with owner financing at 10% interest, at a price of $79,000 or so. Typical rate of return is 14-16% per year, with no maintenance costs. Here is a great case study of exactly how I invest in San Antonio investment properties. 14% ROI return for the investor, $41,000 cash price. What do you think, investors? Does making 14% per year steadily sound like a good proposition? Can you do that in the stock market every year for 10 years or more? And can you enjoy regular cash flow from your stock market portfolio? Many investors only realize their gains if they cash out – if the market does not tank and they lose half of their portfolio as I did! 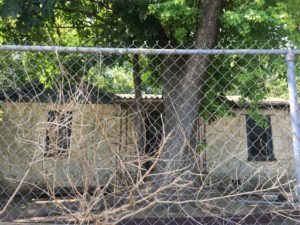 My distressed properties may look like a risky investment, but looks can be deceiving! When you invest all cash in a piece of real estate property, you do not have a mortgage. And, when you owner finance the property, you get steady real estate cash flow each month, and you do not need to do landlording repairs either. Here in San Antonio, my below market value properties always make a steady rate of return no matter what the larger economy is doing. I always buy my houses in cash, but many investors have cash in their IRA and they want to learn how to invest in real estate with IRA. This can be a great strategy, if you buy the right kind of real estate. 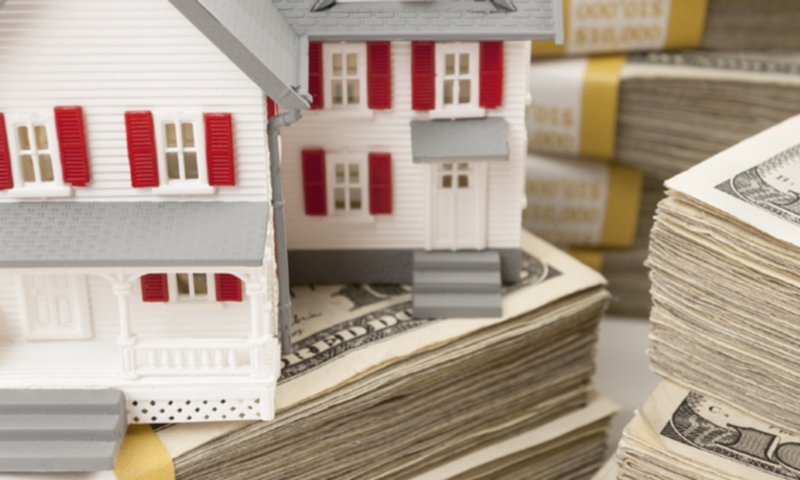 More investors than ever are deciding to invest in real estate with self directed IRA – Kiplinger’s says that there has been an 82% increase in the purchase of real estate investments from inside an IRA. But, funny, many people with IRAs still do not realize that they can invest in real estate. The ERISA statute only states that IRAs cannot be invested in collectibles, some precious metals and life insurance. But other than that, you can invest in almost anything you want. Investing in real estate with a self directed IRA is still a rather ‘niche’ business. As of 2012, there was about $95 billion in self directed IRAs. But many investors in the middle class are now getting in on the act. No self dealing: This is where the IRA owner cannot invest in something that benefits themselves certain members of their family. If you make this mistake, the entire IRA could be taxed! You cannot mingle non retirement funds and your IRA funds. So, if you buy one of my houses for $25,000 cash, you cannot write a check from your personal bank account that your IRA is going to purchase. The money must be in your self directed IRA. Note that you cannot deduct expenses of owning real estate from inside your IRA. However, your real estate cash flow will collect over time tax deferred. Personally, all I care about is cash flow, not deductions, but your preferences may differ. If you rent out the property, all expenses must be paid from your IRA, but with owner financed properties, which is what I do, this is not an issue. Note that the custodian for your self-directed IRA cannot give you any advice about the investment in real estate. They just take directions from you, the real estate investor. Also note that the title to all assets in your IRA are vested in the name of your custodian, for the benefit of your IRA. All proceeds from asset sales or any real estate cash flow must go back into your IRA. You can set up an LLC if you like, but some experts say it is not necessary. An IRA is actually a trust and it has its own set of rules and protection of assets. In the end, investing in real estate with an IRA can be a great choice for retirement….if you invest in the right sort of under market value properties. Many of my cash buyers who used to invest in California investment property, San Francisco investment property, San Diego investment property and Los Angeles investment property now invest in San Antonio investment properties using their IRAs. Imagine – earn 14-15% ROI every single year with your self-directed IRA, and never have to repair a house! That’s what my investing system in San Antonio investment properties offers.